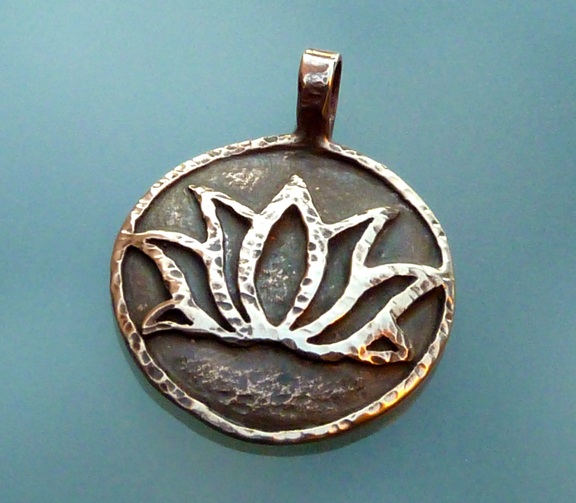 I’ve added a few bronze pieces to my collection of work, and here is an antiqued bronze lotus. A solid pendant – and the warm gold tone of bronze gives the lotus a whole new feel. This is a great gift for a yogi or flower lover. This little lotus flower bead is sweet! 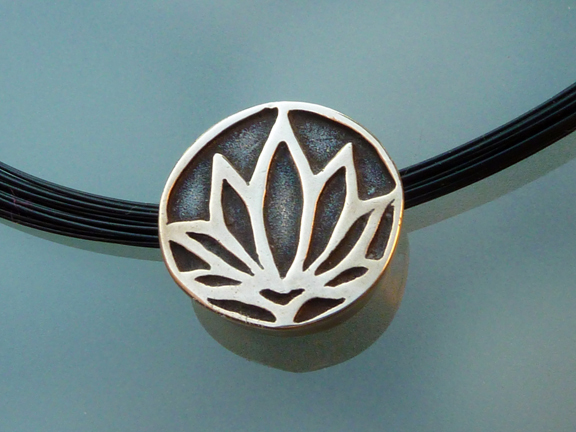 Simple lines of the lotus flower are accented by blackened bronze. May be worn alone as a pendant or on a string of beads. A wonderful gift for your favorite yogi or flower lover! 3/4″ diameter and 1/4″ deep. Shown on an omega necklace (necklace not included). My latest design for the Zen Collection. This bead may be worn alone as a pendant or with other adornments, even on a leather cord as a bracelet—your choice. It is pictured here on an omega necklace. 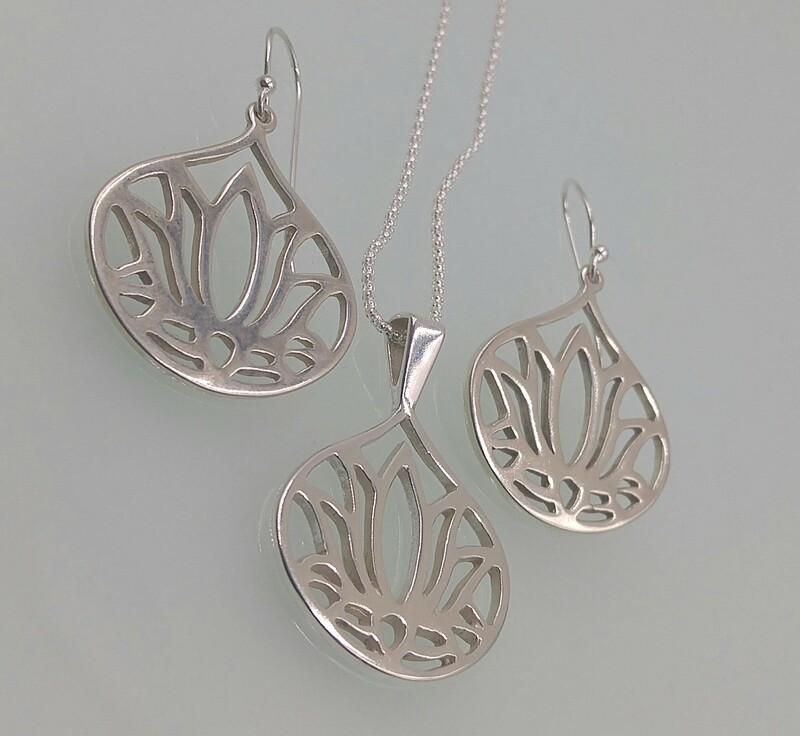 Perfect for a yogi or anyone who delights in lotus flowers or an eastern aesthetic. It is about the size of a nickel, about 1/4 inch thick, and has a substantial weight. Pendants and earrings are available for wholesale. Get your oms, lotus flower, and turtles here. Check back – more designs coming soon! Contact me at matagisorensen@gmail.com to discuss minimum orders and pricing. 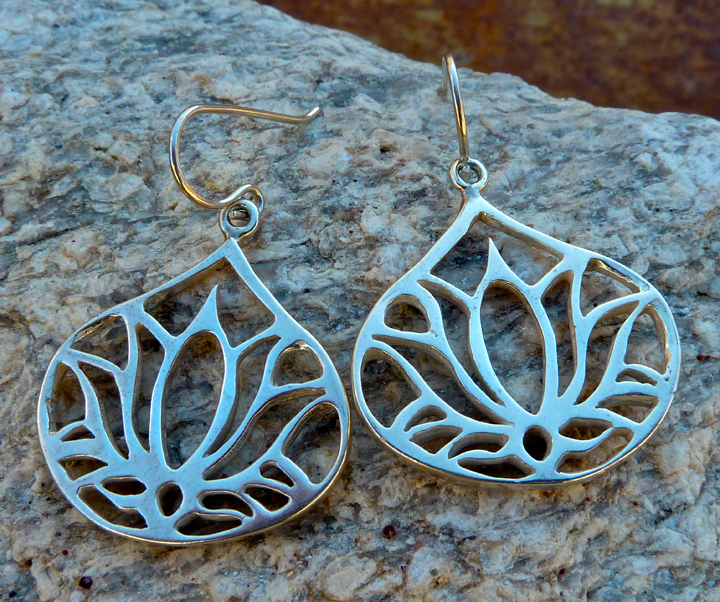 When I made the lotus flower pendants, a lot of people asked me if I could turn them into earrings. I thought, why not? And so, here they are. These are about the size of a quarter. 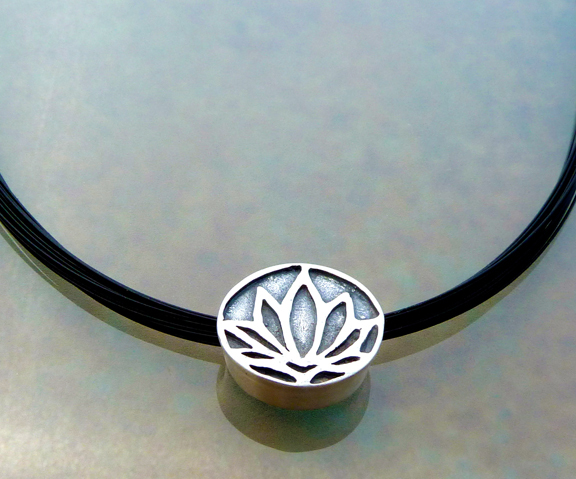 After I made the Om pendants, people began asking me if I could make a lotus flower pendant. I could, and I am happy I did! 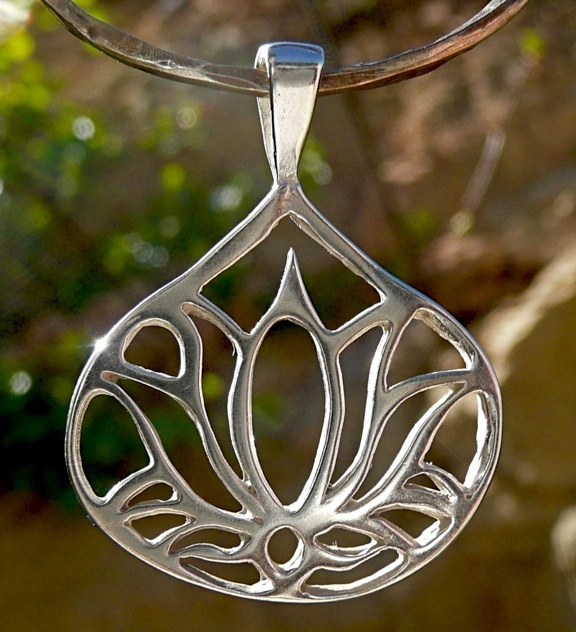 This pendant is more dense than the original lotus flower I created. I’ve included several pictures to show the thickness of the piece. Why not get one for your favorite yogini or flower lover?